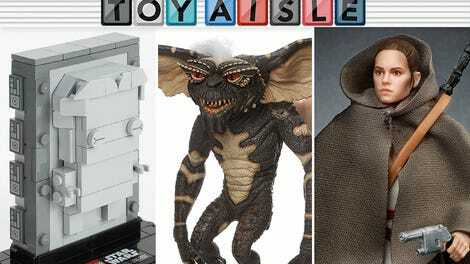 Welcome back to Toy Aisle, io9's regular round-up of all the shiny new toys we’d very much like to buy this week. 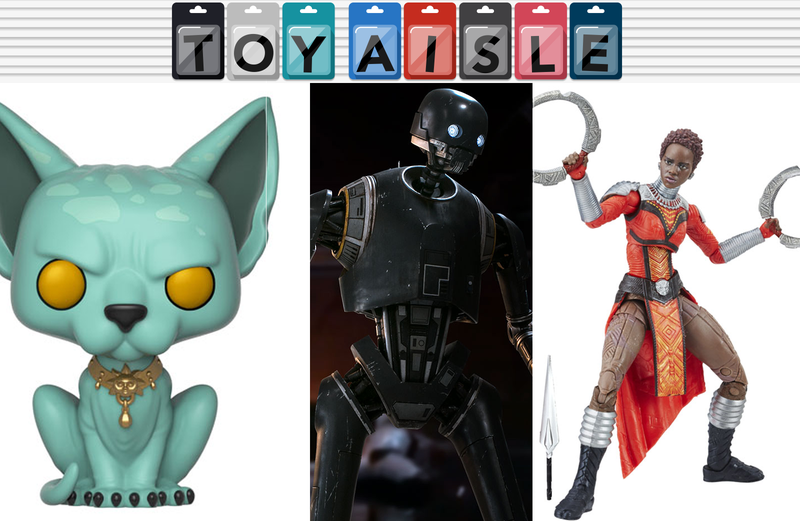 We’ve got some excellent Black Panther action figures, a truly gigantic K-2SO and even more Star Wars goodies, and Lying Cat. What else could you need, honestly? With Black Panther on the way early next year, it can only mean one thing: lovely action figures to hype up the film for us to gaze upon. The first three 6" figures from the Black Panther-themed wave are all from the movie: T’Challa himself in his upgraded suit, complete with an unmasked head, Erik Killmonger in his own tricked-out rival suit, and Lupita Nyong’o’s mysterious undercover agent character, Nakia. They’ll be joined by comic book versions of Black Bolt, Namor the Submariner, and Tony Stark in his Invincible Iron Man armor. We just had a Beauty and the Beast remake, but one more surely won’t hurt, especially if we replace Mrs. Potts with Darth Vader.